Perfect timing means no crying...or does it? ~ My Baby Sleep Guide | Your sleep problems, solved! 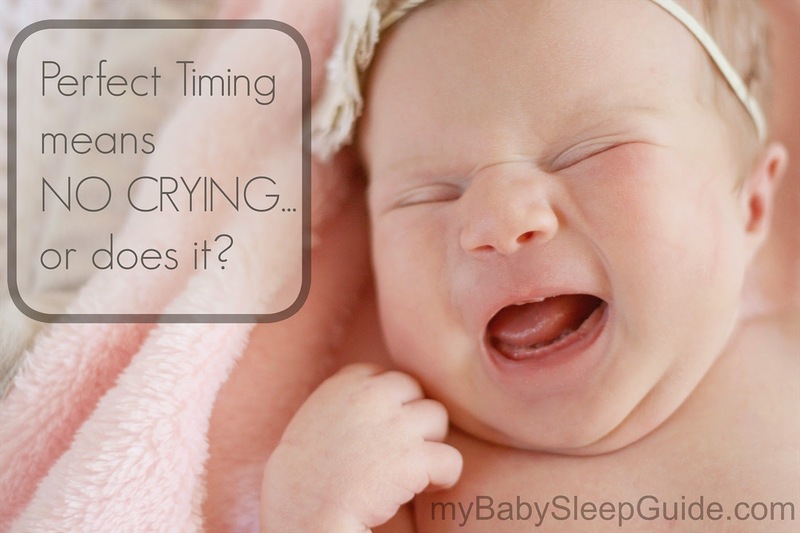 Perfect timing means no crying...or does it? If you've spent a good enough time dallying in the 'how the heck do I get my kid to sleep' circles, you've probably heard something along the lines of perfect timing equals no crying. It's one of those stand out ideas from a very popular baby sleep book that stands out because, well, it's repeated multiple times, and also because it's pretty significant. I mean, if you put your child to bed at just the right time they won't cry. Who in their right mind wouldn't want that?! 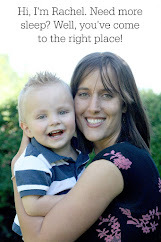 Sure, putting your child down at just the right time (not too tired, not under tired) can do wonders. It really can. I don't mean to undermine the significance of this because it is oh so important. But there's a lot more to it than that. You've got different caregivers, babies, life situations and past sleep habits that play into this. Let's just pretend for a moment that you are totally awesome at figuring out exactly when your child needs to go to sleep. You've got this timing things down like nobody's business (and you also somehow manage to always be home and available to put your baby to sleep on time for every nap and bedtime). But that will only get you so far. As I've said many times before, babies have their own little personalities and this effects sleep a lot. Some babies simply do not naturally fall asleep well. They do not drift off easily in their parents arms, and they certainly do not drift off easily by themselves in their own bed. Let me say this again just incase you are still feeling guilty or inadequate over having a baby that doesn't naturally sleep totally awesome on her own: It doesn't matter if you are the expert parent of all time, your baby still may not go to sleep easily and without a peep! And you are almost completely guaranteed that baby will not go to sleep on her own without a peep if you start the process when she is several months old. Why would she? She is used to having something one way (which in all likelihood involves lots of snuggling or milk or something else dream-like for a baby) and she will protest any change. Sure, there are a couple babies out there that won't protest this change, but don't plan on having this 1 out of a million baby! And certainly don't tell anyone if you have one of these babies because you may make some enemies with some very tired and worn out mommies who haven't had a good night of sleep in who knows how many months! Not sleeping for months and even years on end can turn the best of us into a bit of a crank! So how do you put your baby down with no crying if perfect timing alone won't do it? There are several things you can do, but they won't guarantee no protesting. You'll find several ideas to help your baby go down nice and calmly on this post about setting the stage for good sleep, tear free. If you're still having a lot of difficulty getting your little one to sleep after working consistently on things from that post, then the next step will be to make a sleep training plan and implement it. In the short run this might mean more protesting from baby, but in the long run, you'll get much more sleep--for everyone. In the end, your baby will have a lot to say about how things go, although your consistency and sleep method will help. So don't beat yourself up if things don't go as planned. This sleep stuff is often a lot tricker than it seems! Thank you so much for your blog! It it so helpful! I have a dilemma that I hope you can help me with. My little girl will be 3 months on the 24th. Weve been doing to eat/awake/sleep cycle since birth. She's been pretty consistent and has been eating on 2-3 hr stretches (exclusively breastfed). At one point she was sleeping from 10-7am with waking occasionally once to feed. The last few nights she has been waking several times (one night she woke atleast 5-6 times). When she stirs I immediately enter the room and give her a paci and turn on her sleep machine (I read your blog on sleep props (paci) and rushing in), which may contritbute to the problem. I'll rub her head (never pick up), and she will settle and usually drift back off, but lately has been waking like 30-45 min later. She will repeat this several times. She takes a decent morning nap and shorter afternoon nap. I'll nurse her at 4:45pm, 7pm, then 9 pm for bedtime. Problem is, she gets pretty fussy around 8pm, dozes like 30 minutes then wakes up. By that time its 9pm so I nurse her, swaddle her and put her down. It takes a good 45 minutes for her to get to sleep (this includes me going in several times to replace a paci). I feel that 9pm is too late and would like to push back bedtime to that 8pm fussy time. I think waiting till 9pm makes her overtired. Problem is, its too soon to nurse again at 8pm, which I feel is an important part of her bedtime routine. I feel my other option is to try to hold her off that 7pm feeding until 8 when she gets fussy and make that her bedtime. I do feed every two hours in the evening in hopes of "tanking" her up. Now that she's spacing out her feedings I'm having a hard time timing the nursing session with bedtime. When she wakes at night she starts to grunt and wiggle. I don't let it escalate too much in fear it will wake her up too much and she won't go back down. I know I should probably let her fuss it out and give her a chance to go back to sleep. Lately she's had a cough and some reflux so she's been waking up coughing, which probably is another layer of the problem. I'm all about timing, routine, consistency, so when things are timed right or we skew off our normal time I freak out!! I keep a consistent wake time of 6:30-7 every days, since that's when she has to be up to go to private daycare. I just need to help timing the feedings and bedtime.